Editors' note: This column updates the data in original VoxEU column "Bail-in versus bail-out: The Atlante example from a systemic risk perspective", and sets out some methodological improvements. Click here to read the original column. Financial institutions are among the most important contributors to systemic risk. For this reason, after the financial crisis, several countries developed policies, and established macroprudential frameworks, to monitor and supervise systemic risk. The new regulatory framework, and coordination between micro- and macroprudential tools are the results of lesson learned. It is now clear that microprudential supervision of individual banks cannot detect incipient systemic risks easily, because these risks derive from interconnections between banks and between banks and the economy. While macro- and microprudential policy have different goals, their instruments tend to coincide. Instruments that are commonly regarded as macroprudential can, in principle, also be used by a microprudential supervisor as part of a process of evaluation and intervention. Consistent with this framework, the Eurozone has introduced the Single Supervisory Mechanism as independent supervisor, distinct but closely connected to the European Central Bank, having all the supervisory instruments. A different body, the European Systemic Risk Board (ESRB), provides macroprudential policy analyses and recommendations. In the Eurozone, essential policy developments have been recently introduced. The Bank Recovery and Resolution Directive (BRRD 2014), and the Single Resolution Mechanism (SRM). The SRM became fully operational for all the 19 Eurozone countries 1 January 2016. While the BRRD determines the rules for how EU banks in a crisis situation are restructured, and how losses and costs are allocated among banks' shareholders and creditors, the SRM is directly responsible for the resolution of all participants in the banking union in member states. Before the BRRD and the SRM, when a bank was deemed failing or likely to fail, supervisory authorities could choose between liquidation, with high costs for stakeholders (shareholders, bondholders, depositors, and borrowers) and a public bail-out, with high costs for taxpayers and further negative macroeconomic consequences (Halaj et al. 2016). Those consequences include moral hazard problems for too-big-to-fail financial institutions, and a vicious circle of bank and sovereign risk. The BRRD also proposes an alternative solution that avoids the use of public funds, in which private creditors must reconstruct the bank in an orderly way. This avoids the extreme consequences that would occur in a liquidation. In this sense, the BRRD contains a bail-in tool to satisfy claims according to a waterfall hierarchy. Junior liabilities are bailed in first, followed by the more senior ones. The bail-in tool can be used within the resolution mechanism of a bank. According to Article 32 of the BRRD, however, a resolution action can be taken only if the bank has been assessed as failing or likely to fail, no alternative private or supervisory interventions would prevent failure, and resolution is necessary in the public interest. Thus, to proceed with a bail-in, a supervisory authority should compare its consequences with other possible interventions, such as liquidation, private intervention and public bail-out. Our recent research has attempted to understand the systemic implications of the bail-in tool, comparing them with liquidation and private intervention (Giudici and Parisi 2017). We examined the joint evolution of the corporate default swap (CDS) spreads of a set of financial institutions. We created a partial correlation network model to explicitly measure the propagation of default probabilities of banks within the financial system. The measure can thus be employed, in the SRM framework, to evaluate the potential losses of banks in case of a distress event under liquidation, private intervention, or bail-in. The choice of action is driven by the minimisation of the potential losses for each single bank – in which banks decide independently whether to participate in a private intervention – and for the entire banking system as well. Liquidation. It does not have enough regulatory capital and bail-inable liabilities to absorb losses, or to meet regulatory requirements (pillar 1, pillar 2, leverage ratio and regulatory buffers). But the problem is not systemic. Private intervention. A capital injection from the other banks in the system. Bail-in. It does not have enough regulatory capital to absorb losses still meeting regulatory requirements (additional tier 1 and tier 2 conversion is not sufficient), but it has enough bail-inable liabilities and is considered as systemically important. In the liquidation scenario, the troubled bank defaults and a contagion shock affects expected losses for its neighbours. The banking system reaches a new equilibrium without the defaulted bank, with less contagion risk. In the private intervention scenario, the troubled bank does not default and so does not create an immediate shock in the default probabilities of neighbouring banks. It is still part of the banking system though, so other banks in the network will still be affected by this highly risky bank's contagion risk. The banks that decide to participate to the private intervention also become exposed to the troubled bank, increasing their potential losses. In the bail-in scenario, the troubled bank also remains part of the system as above. In addition, burden-sharing losses are imposed to banks because they are creditors of the troubled bank. The design of these three scenarios meant we could identify the best action to minimise losses by considering the banks' and the system's perspective. The bank perspective means that, each bank is allowed to derive the distribution of its own losses under the three alternatives and, consequently, can decide whether to take part to the private intervention or not. Taking the systemic perspective, the resolution authority is allowed to derive the potential losses for the entire banking system under the three alternatives and, consequently, can decide whether the resolution tool is preferred in terms of losses minimisation, or whether it should be considered as the last option. The systemic perspective that we introduced in this study is also important because the measurement tool could be employed to evaluate whether a failing bank, for which no private intervention is possible, is systemically relevant. In that case it would either be maintained in the system conditional on a bail-in resolution. If not deemed relevant, it could be liquidated. The application has been focused on the seven banks for which CDS data are available through Markit, and reliable: Banca Popolare di Milano (BPM), Banco Popolare (BAPO), Intesa San Paolo (ISP), Mediobanca (MB), Monte dei Paschi di Siena (MPS), Unicredit (UCG), and Unione Banche Italiane (UBI). MPS was considered as the 'target' bank of the analysis, considered to be in a failure or likely-to-fail situation. This is reality: there have been recent talks between the ECB, the European Commission, the Bank of Italy and the Italian Government to consider triggering a precautionary recapitalisation. The computation of partial correlation networks relies on the time series of the expected losses for each bank (Figure 1). In the first figure, the size of each node is proportional to the average CDS spread of the corresponding bank. This emphasises the importance of each financial institution in terms of its risk. In the second figure, the size of each node is proportional to the amount of total assets of the corresponding bank. This emphasises the importance of each financial institution in terms of its relative size. 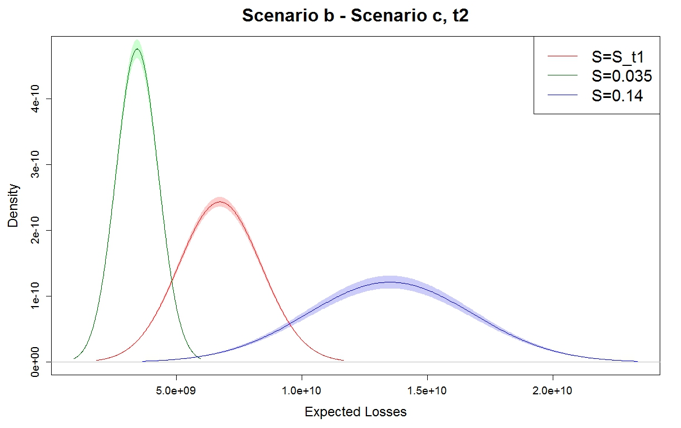 Figure 2 shows a comparison between the aggregated expected losses for the entire banking system that would be produced over time by the three alternative scenarios. The computation of expected losses takes into account balance-sheet data, CDS spreads and contagion effects. Figure 2 shows that the expected losses at the system level would be minimised by a private intervention or a bail-in. Liquidation appears to produce much higher, and worse, consequences for financial stability. As previously, this result also depends on the large size of MPS, which makes the shock produced in case of liquidation strongly negative in terms of propagation of expected losses.2 On the other hand, confirming expectations, the bail-in resolution slightly reduces contagion effects compared to a private intervention. Finally, in order to understand how the increase in expected losses from private intervention or bail-in depends on the level of risk of each bank, we computed the first-order differences between the two using different level of CDS spreads for MPS (Figure 3). Figure 3 underlines that the reduction in expected losses under the bail-in scenario increases as the troubled bank in the system increases its level of risk. This means that the bail-in scenario minimises losses, and this effect is even stronger when the financial institution identified as failing or likely to fail does not recover after the resolution decision. The application of this methodology to the Italian banking system reveals that, from the system's viewpoint, a private intervention and a bail-in resolution minimise losses with respect to liquidation. Bail-in slightly reduces contagion effects compared to a private intervention. We performed robustness checks, and an increase in the default probability of the distressed bank after the bail-in or private intervention increases the expected losses of the entire system. This increase is even stronger for a private intervention. Giudici, P and L Parisi (2017), "Correlation networks to measure the systemic implications of banks resolution", working paper. Beck, T, S Da-Rocha-Lopes and A Silva (2017), "Sharing the pain? Credit supply and real effects of bank bail-ins", CEPR Technical report 12058. Halaj, G, A C Huser, C Kok, C Perales and A Van der Kraaij (2016), "The systemic implications of bail-in: A multi-layered network approach", Technical Report, ECB. BBRD (2014), "Establishing a framework for the recovery and resolution of credit institutions and investment firms", Directive 2014/59/EU of the European Parliament and of the Council. The ongoing supervisory discussion is not limited to Italian Banks. The Spanish Banco Popular was declared as failing, and private intervention from Banco Santander has been recently approved by the supervisory authority. Just before the SRM came into force, the Portuguese Banco de Espirito Santo was split into two bridge banks with the help of a private intervention from other banks in the system. This study focuses only on the direct consequences for the balance-sheet of the other banks. It does not assess the macroeconomic impact, or indirect effects on taxpayers. The financial crisis and, more recently, the European sovereign crisis, have led to a growing research literature on systemic risk, with different definitions and measurement models. According to the ECB (2009), "systemic risk is the risk of experiencing a strong systemic event, which adversely affects a number of systemically important intermediaries or markets". This broad view of systemic risk, which considers the system as a whole rather than individual institutions in isolation, is shared by many other definitions. However, systemic risk measurement models still differ in many details, such as the involved agents, the nature of the shocks and the economic perspective. The main distinction between measurement models derives from the use of a cross-sectional, rather than a time-dynamic perspective. While the former mostly concentrates on the relationships between agents operating in the market (e.g. Lorenz et al. 2009, Battiston et al. 2012, Billio et al. 2012, Diebold and Yilmaz 2014, Barigozzi and Brownlees 2013, Ahelegbey et al. 2015, Das 2015, and Giudici and Spelta 2016), the latter focuses on cause-and-effect relationships over time (among others, Chong et al. 2006, Longstaff 2010, Shleifer and Vishny 2010, Duffie and Lando 2001, Lando and Nielsen 2010, Koopman et al. 2012, Betz et al. 2014, Duprey et al. 2015, Acharya et al. 2010, Adrian and Brunnermeier 2011, Brownlees and Engle 2012, Acharya et al. 2012, Dumitrescu and Banulescu 2014, Hautsch et al. 2015). 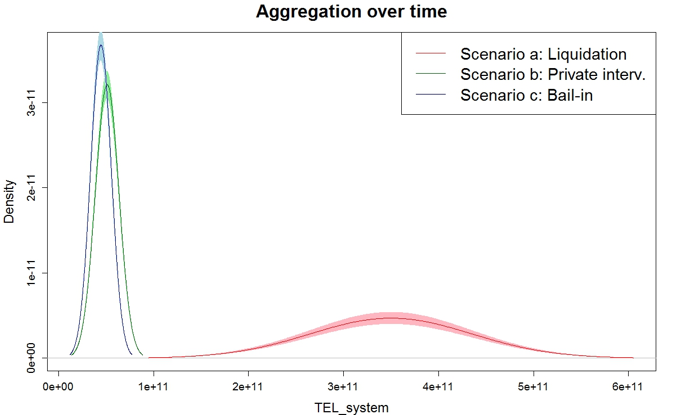 Consequently, we can distinguish between models centred on contagion between institutions, and models that aim to predict what will happen in the nearby future, with an early-warning perspective. Contagion models can identify transmission channels, but are descriptive rather than predictive. Time-dependent models are predictive but, focusing on single institutions, they do not capture contagion mechanisms. While time dynamic models explain whether the risk of a bank, a company, or of a country, is affected by an endogenous market crisis event, or by a set of exogenous risk factors, cross-sectional models explain whether the same risk depends on contagion effects. In Giudici and Parisi (2016a), we have improved these two classes of models, introducing multivariate time-dependent stochastic processes, combined with correlation network models. Our model has been applied in a macroeconomic context to measure the systemic risk of the aggregate sovereign, corporate and bank sectors in different countries. In new work, we extend the previous approach at the microeconomic level (Giudici and Parisi 2016b). In particular, we combine time-dependent default probabilities of financial institutions with correlation network models, thereby deriving a time-dependent total probability of default, which corrects the baseline probability of default with a probabilistic ‘add-on’ that depends on contagion effects deriving from interconnections with all the other institutions. The methodology proposed in Giudici and Parisi (2016b) has been employed to analyse the main differences between bail-in and bail-out scenarios, which may occur in case a financial institution is close to its default point. More precisely, two alternatives have been compared: either the ‘troubled’ institution defaults, thus affecting its neighbours (the other banks in the system) through contagion propagation; or the troubled institution is helped by the other banks in the system through a capital lending operation (see Figure 1). In the first situation, which we call the bail-in scenario, the troubled bank's default affects its neighbours through a shock in their default probabilities derived from contagion effects. However, after a while, the bank system reaches a new equilibrium without the defaulted bank and, thus, is affected by less contagion risk. In the second situation, which we call the bail-out scenario, the troubled bank does not default and, thus, does not affect its neighbours through a shock in their default probabilities. However, it continues to be part of the system, so that all the other banks in the network will still be affected by the high contagion risk derived from its presence. A comparison of the total default probabilities under these two scenarios will allow us to establish which banks in the system would benefit from a bail-out, rather than a bail-in scenario. The above-described research design has first been applied to a stylised banking system, composed by three banks. Afterwards, it has been applied to the Italian banking system. This is a particularly interesting case study, as in April 2016 Italian banks organised themselves in the joint capitalisation of an equity fund, called Atlante, whose two main aims are the recapitalisation of ‘troubled’ financial institutions and the creation of an industrial non-performing loan asset disposal vehicle. Each bank decided, on a voluntary basis, whether to allocate capital to the Atlante fund, and to what degree, as shown in Table 1 below. Following this intervention, a medium-size lender, Banca Popolare di Vicenza (POPVI), found to be strongly under-capitalised by the ECB, has been recapitalised by the Atlante fund, which has fully subscribed a €1.75 billion capital increase. A similar intervention is foreseen for a similar lender (Veneto Banca). The actual choice of each bank (to take part in the Atlante fund or not) can be evaluated from a systemic risk perspective. In particular, it can be done by examining how and how much the advantage of choosing a bail-out rather than a bail-in scenario depends on the default probability of the troubled bank (see Figure 2), on the partial correlations with it, and between safe banks (see Figure 3). The results of the research can be summarised as follows. First, it indicates that the smaller and safer a bank is, the larger the advantage of choosing the bail-out scenario. Such advantage is negatively associated with the default probability of the troubled bank, positively associated with the partial correlation with the troubled bank and, finally, negatively associated with the correlations between the safe banks. Second, the application to the Italian system reveals that some banks (BPM, CVAL, UBI), either small or highly correlated with POPVI, will benefit from the bail-out scenario, while some others (CRG, MPS, BAPO, BPER, CREDEM, POPSO), poorly correlated with POPVI and highly correlated with each other, will be damaged by this choice. Finally, some, including the largest ones (ISP, UCG, MB, MDL) are practically neutral. Third, consistently with our findings, CVAL and UBI are the banks that transferred the biggest fractions of their capital amount to Atlante. Fourth, again consistently with our findings, CREDEM and MB have not taken part in the fund. The former is indeed disadvantaged by a bail-out – the latter is almost neutral. Last, the long-time troubled bank CRG and MPS have decided to invest in the Atlante fund even if our model suggests they would not benefit from it. Their choices can thus be explained not in terms of systemic risk, but by other strategic factors (such as the expectation that Atlante can acquire part of their large stock of non performing loans). Acharya, V V, R Engle, and M Richardson (2012), “Capital Shortfall: A New Approach to Ranking and Regulating Systemic Risks”, American Economic Review Papers and Proceedings, 102(3), 59-64. Billio, M, M Getmansky, A W Lo, and L Pelizzon (2012), “Econometric measures of connectedness and systemic risk in the finance and insurance sectors”, Journal of Financial Economics, 104, 535-559. Dumitrescu, E, and D G Banulescu (2014), “Which are the SIFIs? A Component Expected Shortfall (CES) Approach to Systemic Risk”, Journal of Banking and Finance, 50, 575-588.